Legoktm added a comment to T63115: Drop URL parameter setlang. Changing server state like this (user options) should not be possible solely using GET parameters. Legoktm reopened T63115: Drop URL parameter setlang as "Open". Legoktm added a comment to T221061: Short URL Shortcuts: Whole domain components need to be predetermined, not just the sister components. This is going to be so abused for political statements and by LTAs once they find its availability. Legoktm added a comment to T221279: patch-coverage HTML report is missing details of new file coverage. Legoktm added a comment to T141832: MediaWiki message delivery should respect 'bot' flags. Since they are explicitly not marked as minor, why would flagging them as bot edits at the village pump cause people not to see them? Um, this is mostly intentional. We *want* people to see new messages posted on the village pump, etc. Legoktm added a comment to T187045: Decide on future of Extension:ShortUrl on Wikimedia Wikis. Can we just deprecate ShortUrl in favor of UrlShotener? Sounds good to me, but what do we do about Cool URIs don't change? Legoktm created T220996: Deprecate and remove ExtensionRegistry::load(). Legoktm created T220994: Add ExtensionRegistry::getLazyLoadedAttribute(). Legoktm added a comment to T220986: [Regression] Increase in APCBagOStuff::get cost. Would an increase in the size of stuff being stored in APC by the ExtensionRegistry be related? rMWd1666a89fff6: resourceloader: Support TestModules registration via extension.json probably caused extension.json stuffs to get even bigger. We currently don't optimize what we store at all (there's definitely some low hanging fruit). Legoktm added a comment to T220424: XmlDUmpWriter::writeRevision sometimes broken by duplicate keys in Link Cache. Legoktm added a comment to T220928: ShortUrl: code stewardship review. Somewhat of a dupe of T187045: Decide on future of Extension:ShortUrl on Wikimedia Wikis. I think the main open question is a technical one, do we a) add a read only mode to ShortUrl, and keep it deployed forever, or b) move the logic for short url into UrlShortener, so we only have one thing deployed and routing stuff. 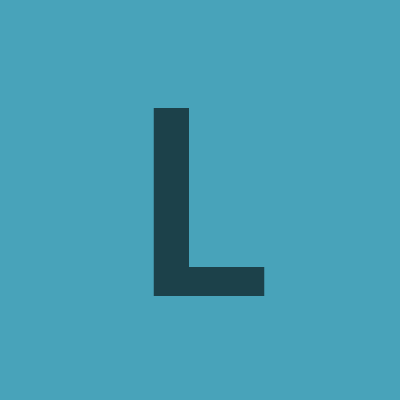 Legoktm added a comment to T220190: Make UrlShortener 404s cacheable. Should we have a CDN purge when we create new short codes just in case the 404 was cached? @Ladsgroup is there anything else left to do here? Legoktm added a comment to T220923: URL Shortener Should Not Mystery Meat Important Links. "Should" and "Does" are two different things, though. The fact that something as basic as "Logout" has this flaw does not inspire me with confidence that other, more important things are not broken. Legoktm updated subscribers of T25227: Use token when logging out. There's probably a LOT of action urls that should be blacklisted. A trap would be someone creates a link that executes an action that has higher privileges and tricks a sysop into clicking it, etc. Legoktm merged Restricted Task into T25227: Use token when logging out. Legoktm added a comment to T25227: Use token when logging out. Related: T220923: URL Shortener Should Not Mystery Meat Important Links. Legoktm added a comment to T220920: apc.enable_cli should be enabled in PHP jobs. IIRC apc has a history of causing weird bugs in CI with stuff not being invalidated properly. I don't know of those bugs still exist, but if you want a persistent cache to test with, you should use HashBagOStuff. Legoktm added a comment to T193824: Determine a standard way of installing MediaWiki lib/extension dependencies within containers. Legoktm added a comment to T108602: Equivalent URLs are not canonicalized and deduplicated. We should already be deduplicating HTTPS/HTTP. Legoktm merged T108565: Shortening only a domain without a trailing slash fails into T220718: URLs with no slashes after domain name are "invalid" but are still shortened. Legoktm merged task T108565: Shortening only a domain without a trailing slash fails into T220718: URLs with no slashes after domain name are "invalid" but are still shortened. Legoktm closed T219986: Shortened URLs won't redirect when there's data as Resolved. Legoktm added a project to T220836: Guidelines for Rust/Go tools deployment: Packaging. Niedzielski awarded T179361: Move MobileFrontend/Minerva's svg_check.sh script into a reusable, separate library a Love token. Legoktm added a comment to T220703: Increase the max length of URL to be shortened. This is not enough for some Wikidata queries that main contain up to 4000 characters. My suggestion is to increase the limit to 10K and see if there are some use cases of longer URLs. Legoktm added a comment to T220759: Provide an alternative to wgExtensionMessagesFiles for non-message i18n. Jc86035 awarded T108557: Review and deploy UrlShortener extension to Wikimedia wikis a Like token. Legoktm renamed T220662: Beta cluster: MassMessage fails with PHP fatal error because of Declaration of JobQueueEventBus::doAck() must be compatible with that of JobQueue::doAck() from Beta cluster: MassMessage fails with PHP fatal error to Beta cluster: MassMessage fails with PHP fatal error because of Declaration of JobQueueEventBus::doAck() must be compatible with that of JobQueue::doAck(). Legoktm added a comment to T220589: Support phan in MediaWiki's default composer.json. Because phan requires PHP >=7.0 (other dev deps require >=5.6.99) and until recently also required specific versions of php-ast, which would have make composer install really inconvenient for a lot of people. Legoktm added projects to T220662: Beta cluster: MassMessage fails with PHP fatal error because of Declaration of JobQueueEventBus::doAck() must be compatible with that of JobQueue::doAck(): MediaWiki-JobQueue, WMF-JobQueue. Legoktm triaged T220662: Beta cluster: MassMessage fails with PHP fatal error because of Declaration of JobQueueEventBus::doAck() must be compatible with that of JobQueue::doAck() as Unbreak Now! priority. I haven't verified myself, but if this is an issue, it's UBN. Legoktm added a comment to T216974: Update phan-taint-check-plugin to a newer phan (1.2.x). Legoktm added a comment to T220432: Clean up "easter egg" short URLs before extension goes live. I'm going to defer to @Ladsgroup since he's taken over the main deployment, but I do think we went a bit overboard on the easter eggs. My initial plan was to have no more than 10 joke/easter egg style ones, and then allocate "b" -> wikibooks, "c" -> commons, etc. TheDJ awarded T116986: Set up UrlShortener dumps a Love token. Legoktm added a comment to T108557: Review and deploy UrlShortener extension to Wikimedia wikis. Legoktm added a comment to T193330: What to do with the Angry Cat. I always thought the cat was paying homage to MonoBook's book. Legoktm added a comment to T220313: Is MWMessagePack unused and/or worth keeping around?. The only use I found via grepping git log was in ProfilerMwprof (rMWc5e6ce0f9e4d: Add ProfilerMwprof), which was removed in rMWefd2fcc575a0: Remove ProfileMwprof. Legoktm created T220313: Is MWMessagePack unused and/or worth keeping around?. Legoktm added a comment to T219114: phan 1.2.6 is OOMing on MediaWiki core. And filed https://github.com/symfony/symfony/issues/30877 with symfony. Mill <mill@mail.com> committed rEMWV865abaecdff5: s4baaaaaaaaaaa (authored by Legoktm). OK, I haven't seen any OOMs after deploying that change. I also submitted https://github.com/phan/phan/pull/2634 ("Avoid repeatedly calculating the terminal's width") upstream based on hashar's analysis. Mill <mill@mail.com> committed rESLF20359e292013: %5eobaaaaaaaaaaa (authored by Legoktm). Legoktm added a project to T218750: Re-enable use of Gerrit HTTP token to push patchsets: VPS-project-libraryupgrader. Mill <mill@mail.com> committed rICMV8c59f8acf14d: g5baaaaaaaaaaa (authored by Legoktm). Mill <mill@mail.com> committed rEPTGc85f4238f699: %2ambaaaaaaaaaaa (authored by Legoktm). Mill <mill@mail.com> committed rEPTG219f7d837bb0: qmbaaaaaaaaaaa (authored by Legoktm). Mill <mill@mail.com> committed rEPTG2079a24d5747: !mbaaaaaaaaaaa (authored by Legoktm). Mill <mill@mail.com> committed rEPTGa29286fb8019: )mbaaaaaaaaaaa (authored by Legoktm). Mill <mill@mail.com> committed rEPTGb19e35037d76: pmbaaaaaaaaaaa (authored by Legoktm). Mill <mill@mail.com> committed rEPTGf9882b7782de: (mbaaaaaaaaaaa (authored by Legoktm). Mill <mill@mail.com> committed rELINTe54d633ad91e: grbaaaaaaaaaaa (authored by Legoktm). Mill <mill@mail.com> committed rELINTd895feb95b00: ewbaaaaaaaaaaa (authored by Legoktm). Mill <mill@mail.com> committed rELINTee98d5159f02: !1baaaaaaaaaaa (authored by Legoktm). Mill <mill@mail.com> committed rQUIBBLE78fcc19e6212: %5etbaaaaaaaaaaa (authored by Legoktm). Mill <mill@mail.com> committed rQUIBBLEf262bdc867b9: dpbaaaaaaaaaaa (authored by Legoktm). Legoktm added a comment to T203069: Deploy wikidiff2 v1.8.1 with changed signature. Legoktm closed T220151: Add CI checks to tool-ldap as Resolved. Legoktm placed T219086: Add legoktm to gerritadmin LDAP group (restoring previously held access) up for grabs. Legoktm added a comment to T219086: Add legoktm to gerritadmin LDAP group (restoring previously held access). The right answer here is to add Kunal to the Gerrit-Mangers group, I believe. Correct, @hashar ? Legoktm added a watcher for Tool-ldap: Legoktm. Legoktm added a comment to T219873: Create a suite of end-to-end API test for MediaWiki core. Legoktm added a comment to T218135: +2 in mediawiki/* for WMDE engineers. Also, to have a clarity, I wanted to ask how to proceed with user Jeroen De Dauw. Whle @Legoktm did a right thing above, I need to ask who is going to decide on whether this user is permitted to be added to wmde-mediawiki group? Legoktm added a comment to T219703: Move `tool-ldap` from Differential to Gerrit. Legoktm closed D1146: app: list new `gerritadmin` LDAP group. Legoktm accepted D1146: app: list new `gerritadmin` LDAP group. Legoktm committed rTLDAPd797c2ba316a: Add 'gerritadmin' to list of LDAP groups (authored by • MarcoAurelio). Is there anything SRE needs to do here or are we waiting for the T219012 discussion to reach a consensus? Please. It would be nice if all of my tools could be moved en-masse. I suppose it would be worthwhile to script it? Legoktm added a comment to D1146: app: list new `gerritadmin` LDAP group. I don't have arcanist set up anymore, can you email me or pastebin this as a .patch file? git format-patch HEAD~1 should do it. IIRC the suggested "Patch without arc" doesn't retain authorship information. Legoktm committed rTWDE2603d1199225: Fix path to dblists (authored by Legoktm). Legoktm closed T219555: 500 error on self closing tag report as Resolved. Legoktm added a comment to T219248: Codesearch index for operations/puppet may be outdated. So when I set this up in January, I assumed hound would do the git pulls by itself. I guess it doesn't, and we need a cronjob to do so. Pulled it manually for now. Legoktm closed T216941: Upgrade SecurePoll extension to use newer phan as Resolved. Legoktm added a comment to T219051: whois tool: 500 - Internal Server Error. For the record, the problem seems to have been resolved before I do anything. Ideally I'd like to know the reason in order to prevent similar issues in future, but I'm not really sure. Legoktm renamed T219219: Please add libgnutls-dev to toolforge from Please add libgnutls-dev to Please add libgnutls-dev to toolforge. Legoktm reopened T219086: Add legoktm to gerritadmin LDAP group (restoring previously held access) as "Open". This is not a duplicate of T219012. Legoktm committed R2061:f0fedf46a5bc: Switch to pymysql (authored by Legoktm). Legoktm created T219114: phan 1.2.6 is OOMing on MediaWiki core. Legoktm committed rLLUP8f39e194172c: Normalize <exclude name="Foo"></exclude> (authored by Legoktm). D3r1ck01 awarded T219086: Add legoktm to gerritadmin LDAP group (restoring previously held access) a Like token. Legoktm added a project to T152478: Doxygen method docs are not inherited (only when abstract classes are involved? ): Upstream. Legoktm added a project to T219001: Doxygen doesn't handle `@inheritDoc` by default, only `@inheritdoc`: Upstream. Legoktm added a comment to T218170: Review removal of ukwikimedia wiki. AIUI the wiki was never formally deleted (just closed), the domain was redirected and the wiki continued to exist until these errors started cropping up and people began cleaning it up one by one. Legoktm added a comment to T218686: Create Gerrit Administrator right policy. Legoktm created T219086: Add legoktm to gerritadmin LDAP group (restoring previously held access). Legoktm committed rEIWSae99cd45da67: Remove empty tests/phan directory (authored by Legoktm). Legoktm committed rECOG6d8c5b8e7cdd: Remove empty tests/phan directory (authored by Legoktm). Legoktm committed rEFLIfa0b6190eab8: Remove empty phan stubs directory (authored by Legoktm). Legoktm committed rERSLc7c406f3e24f: Remove empty tests/phan directory (authored by Legoktm). Legoktm closed T217479: mwext-php70-phan-docker doesn't use composer cache as Resolved. Legoktm claimed T218324: MediaWiki.Commenting.FunctionComment.DefaultNullTypeParam wants redundant "mixed|null". Legoktm added a comment to T218816: MediaWiki.Commenting.FunctionComment.DefaultNullTypeParam wants null even if type is nullable. ?string and string|null mean the same thing, I suppose the question is which of those we want in the docs. Legoktm committed rEWETef1112763d92: build: Updating mediawiki/mediawiki-phan-config to 0.5.0 (authored by Legoktm). Legoktm committed rEASRe93ef38e010a: Add phan (authored by Legoktm).